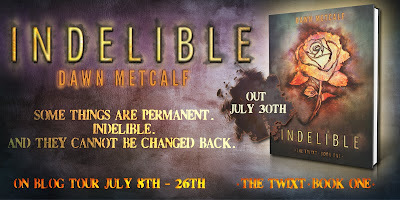 Good Choice Reading: Blog Tour: Indelible by Dawn Metcalf - Interview & Giveaway! Blog Tour: Indelible by Dawn Metcalf - Interview & Giveaway! 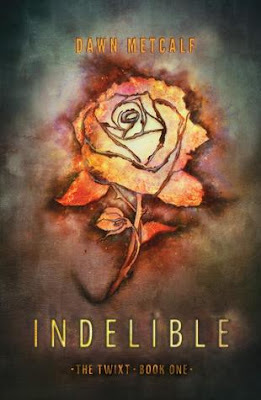 Welcome to our stop on the INDELIBLE blog tour hosted by Kismet Blog Tours. 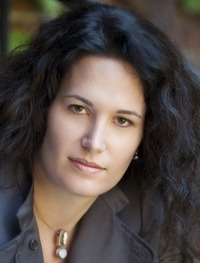 Today we bring you an interview we recently did with author Dawn Metcalf. Enjoy! I am strange and so is my book, Indelible. I am proud of both of us. When I could write, age 3-5. The very first thing I wrote were notes to my parents to express how I felt when the words wouldn’t make it out of my mouth. I would scribble notes in crayon, stick them under their door and run away, afraid of standing in the raw emotion of it all. Later I wrote children’s stories and poetry. But the first novel I wrote was a fantasy called “The Eye of the Ancients” which was 365 pages long and took that many days to write! I was 11 years old. I do read reviews—masochist that I am—and I know that even not-so-nice ones have a grain of truth to them because it’s how the story resonates (or doesn’t) with a reader. And while I know you can’t please all the people all of the time, I like to hear a different perspective and widen my exposure to who is out there picking up my books (or books like my books). The truth is that it’s frustrating when people misunderstand what I wrote or meant (or, most often, what I thought I wrote/meant) but I can’t do anything about it—even respond or reply or justify myself—because once the book is out there, it’s OUT THERE and has to stand on its own. Everyone has the right to their own beliefs and impressions and I can only try to be truer and more honest to the story and myself. But I kinda like it when someone says my writing is “unique,” “unusual” or “different” because I like to think I am, too. How did you come up with the idea of Indelible? From a rant about how girls are portrayed in young adult literature as needing an older man to show them the way to love. Yyyyyyyeah. Oh my gosh, which one?!? I could say Samuel Clemens or Kurt Vonnegut, Spider Robinson or Connie Willis, Neil Gaiman or Laini Taylor, Judy Blume or Phil Foglio…really it depends on what part of the craft we’re talking about. No. BWAHAHAHAHAHA! *ahem* Next question. Karate. Or baking. My life is full of paradoxes. Yes. Many. Mindkiller by Spider Robinson, Polymorph by Scott Westerfeld, ElfQuest by Wendy & Richard Pini, The Gandalara Cycle by Randall Garrett and Vicki Ann Heydron and Neverwhere by Neil Gaiman come to mind, I’ve read them so often! My parents. I know it’s corny, but it’s true. They are astounding, inspiring, respectful, intelligent and creative folks that walk the talk. Watching them grow up together taught me everything about loving life and the people in it. Yes. Sit down, turn off the internal editor, write. Sounds simple, doesn’t it? But, for me, that’s sometimes the hardest thing to do. Ooo. Perhaps Invisible Inq because she is just so spunky and sparkly, dangerous and brilliant and I’d like to meet her if only to point her in a direction and watch her wreck havoc, but honestly, the one I’d most like to meet is Graus Claude. He’s amazing. Ice cream or Sorbet? Ice cream. Knives or sword? Sword. Specifically, broadsword. Coffee or Tea? Tea. Decaf. Me on caffeine = BAD! Iced tea or hot tea? Hot! Soda or Juice? Juice, but honestly, I drink water or tea. Twitter or Facebook? 140 characters or less, baby! Actual book or eReader? Book. New book smell is an addiction. Actual book or Audiobook? Actual book unless I’m in the car on a long drive, then audiobook as reading at the wheel would be BAD. Young Adult or New Adult? YA All The Way! Vampires or Werewolves? Hmm. I’d have to say werewolves. Ghost or Zombies? Ghosts, although I prefer my dead, well, dead. Action movies or Chick flicks? What are black humor/foreign films? Horror movies or Mystery movies? Mysteries. Mountain views or Ocean views? Ocean! Because that means there is a BEACH! Metcalf’s unique style and distinct voice add layers to a complex plot and create a fascinating romance that readers will find unforgettable. INDELIBLE will be available wherever books are sold and at Harlequin.com. I was once at a high school, reading a book, and a kid asked me how my book was. I think I freaked him out a little because my response was something like "great! The author's not afraid to ruin their characters' lives." Thanks for the opportunity to win! I'm looking forward to reading this. I agree with barefoot!! And even socks. I'm not a huge shoe person... :) Flip flops or sneakers would be my shoe of choice. :) Thanks for the giveaway! Great Interview! Dawn's after my heart with the this or that answers particularly the new book smell addiction. I'm totally a new book smell junkie. Wow- Dawn sounds like my kind of writer! Indelible sounds deliciously dark and dangerous (and THANK YOU for killing one of the worst YA tropes that exists....yay!). This books sounds so awesome I can not wait to read it. I've been dying to get my hands on this book I can't wait for it to come out! thank you so much for this awesome givaway! This sounds like a nice twist on the fae world! thanks for the fun interview and congrats to Dawn on the new release! Can't wait for the release date of the book. Indelible sounds different from the other fae books. Thanks for the interview and this great giveaway. Ooh!! So happy to see this interview and giveaway! I've been waiting for this book for what feels like FOREVER! I almost can't believe it's only like 10 days to publication! The early reviews I've read are all great, and I can't wait to see for myself. Dawn sounds like an absolute hoot, I bet she'd be so much fun to hang out with :) When I started reading her bio and got to the last word in the first sentence I just busted out laughing! Great sense of humor. Thanks again!! Fun interview! This book sounds great! Awesome interview. Thanks for taking the time to post and double thanks for offering the awesome prize pack!